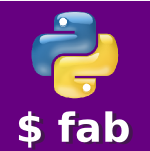 You can skip this if you don’t care about your default Python environment. I’m using virtualenvwrapper for convenience. OK, so we have our project stubbed out now. Let’s create a couple of folders that will hold our templates and static files. I’m just going to create these at the root of the project for simplicity. Below, click to download the needed images for this tutorial. Unzip this into the img folder you just created. The key lines that we changed here are highlighted. You’ll see we’ve added our game app and the channels app to the INSTALLED_APPS dictionary (lines 21, 22), we added the path to our templates folder (line 41), and the CHANNEL_LAYERS setting at the bottom of the file (lines 100-105). The BACKEND is the basic Channels settings that are good for development, but not what you would want to use in production. Refer to the docs for more info. We also need to create the file indicated on line 103. It will basically be empty at this point, but we need it to configure Channels. So, create a file called routing.py in the channels_obstruction directory. This file works very similarly to how the Django urls.py, but handles routes for the websocket calls from the client. That’s really all of the config you need with Channels! Now, let’s add a homepage and some registration pieces to allow players to create accounts and log-in. In the views file, we just created two simple views: HomeView and CreateUserView. Each referenced template files that we don’t have, so let’s create those now. In your templates folder, create four files: base.html, home.html, login.html and register.html. base.html: The base template that all others will extend. It contains the css/js imports, the navbar at the top, some Django messages display HTML (lines 49-55) and some standard Django template blocks that child templates will use to insert page-specific content. home.html: This page isn’t really going to have a lot of content, but it will show to non-authenticated users. Now, hit http://localhost:8080/ in your browser and you’ll see our amazing home screen. You can also now register and log in. Go ahead and create two users that will be our Obstruction players. Note: right now we have the login redirecting to a page that doesn’t exist. We’ll add that soon. In the next section we’ll start integrating some real-time functionality using Channels…. when I run your code, but the web don’t show the game, what’s happend? Are you going through the tutorial? Or are you running the example project from github? Do you have a similar project but with channels 2.0? Do you plan to update this one? Yes, I’m actually working on one now. Hopefully I’ll have it ready in October, but my free time is tight right now. I am getting an error, “ImportError: cannot import name ‘Group'”, while trying to import Group from channels in models.py. I am using channels 2.0.2. Please help. 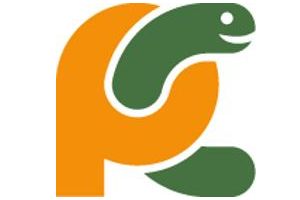 I will try to get the tutorial updated to Django 2.0, Python 3, and the latest channels version soon. Error reading [PATH]\webpack-stats.json. Are you sure webpack has generated the file and the path is correct? Sorry, I didn’t reply sooner. If the file is being generated, check your STATS_FILE setting under WEBPACK_LOADER in settings.py. It’s possible that it isn’t pointing to the correct location for the file. If the file isn’t being generated, webpack may not be running properly. Are you seeing errors when you run wepback? That is very good, I was making similar stuff as a video on my language and this sharing is very useful. Power of sharing, thanks again. When will the index.jsx be called ? The index.jsx files are bundled with webpack (set on lines 8 and 9 in webpack.config.js). Those are the bundles that are loaded with the Django Webpack Loader and rendered on the related html pages (lobby.html and game.html). Is it possible to allow to the user give a name for the room? If the answer from above is yes, can the user choose a “limit” for ppl to connect before starting the game? Name of the room: Adding a “name” CharField to the Game model (models.py) would hold the value and then you would just need to add a bit to the create_new model method to set it. You would also need to allow the game creator to provide that name when creating it, instead of just clicking a button. But that name value would then just be passed along in the JSON to Channels in the sendSocketMessage call in the onCreateGameClick() method of PlayerGames.jsx. This could be added with a bit more work, but essentially you would want to change the Game model to have a ManyToMany relationship to Users. Aside from that, several other parts of the code and GUI would need to be updated because it’s pretty hardcoded to two players at the moment. But if there were multiple users in a game, Channels would work the same – everyone would get game updates without a problem. And yes, once the game was converted to use multiple players in a game, you could just have the game creator specify the max limit and then store that as a max_players IntegerField in the Game model….and then allow users to join up to that limit. Thanks for this django/react tutorial. It is awesome helping me get my head around React and putting all the pieces together!! Great to hear! I’m glad you found it useful. Thanks for letting me know. Thank you so much for writing this tutorial! From your description, it seems like moves and player messages should update automatically, however when I run it, they only update after a manual refresh of the page. Am I misunderstanding how the website works? The log should update when new chat messages are created or moves are made. I would check to make sure the game.send_game_update() method is being called at the appropriate times. Also, check the browser console for any errors on the client-side. That may give you more of a clue to the issue as well. Thanks for writing this tutorial! 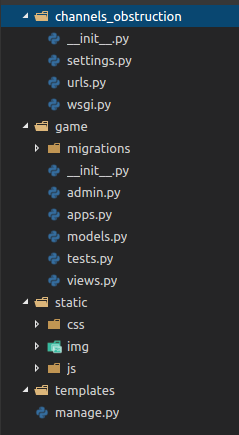 However, some things that may be confusing to a beginner: startapp game is going to create a game/views.py by default, and anyone that forgets to move views.py is going to have a package conflict. Also, from views import * inside __init__.py should be from .views import * just to avoid any namespace mismatches. I recommend you keep the default views.py. Thanks for your comments, Daniel. Yes, I thought that splitting the views could be confusing, but it’s something I like to do to organize views of different types. So here, I didn’t want to combine the DRF API views with the “standard” Django views. Also, the tutorial wasn’t exactly intended for beginners, but maybe I can clarify the views split a little more in the post. Also, thanks for catching the import fix. I had already updated the imports in the git project, but missed it in the post. Hello! Great tutorial! I have a question, I want to use foundation-sites in my project. I am following you tutorial and instead of using bootstrap precompiled css I would like to install foundation with bower maybe? I know how to use the “foundation new” command to create a new project but I would like not to create a new project but integrate foundation sites with mine! You could just include this as you would any other CSS, and my guess is that if you install the full Foundation package with NPM, you could just reference the CSS there as well. Yep – you’re right, thanks for letting me know! I’ve updated the urls.py code. Thank you so much, one of the most complete tutorials I have seen. Not all persons are willing to teach this things together, and the complexity of the scenario gives us good bases. This types of tutorials (even paid) are hard to find. Again, thank you. Thank you for the nice comments! I’m glad you found the tutorial helpful. Can you please show one example on how I can make api post call from react to django drf? Is there any reason why all “post” calls are done via sockets not api in this tutorial? You can see a few examples of calls from React to the DRF backend in my post. For example, take a look at the getGame() method on the GameBoard.jsx component. That method calls the DRF SingleGameViewSet endpoint to get game details. 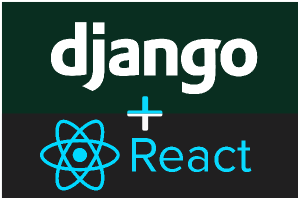 And as I mentioned in the post, I tried to mix up different ways of getting data from the Django backend to the React frontend. I wanted to show different ways of achieving the same thing: sending data through the standard Django response via context, DRF calls to the backend, and Django Channels websocket calls. In reality, this isn’t how I would structure a production app, but I was hoping it would be informative. Hopefully not confusing at the same time. Wow! Thanks again for sharing this tutorial. I am amazed by your generosity. The tutorial is intense. Thanks for suggestions. Yes this was my first large tutorial so it definitely could be optimized and improved. I did the GitHub project well before the post, but it worked for me when I last tried it. It could be a python2/python3 import issue. I’ll update that tonight and get it working. You’re right! That view isn’t even needed… I think I started going that direction to claim a square, but moved it to a Channels call using the consumer instead. I’ve removed that reference and the url reference. Thank you very much for your suggestions and bug reports! I’ve added you to the “Thank you” section at the bottom of the post. Yes this is probably because you’re on Python 3 and implicit relative imports like that won’t work. I’m on 2.7 and they work with it. Thanks for pointing that out. I’ll update the post to note this. Thanks, yes when I first talk about the settings file, I recommended overwriting all of the default code with what I show in the post. I’ll make sure that it’s more clear. One thing that could cause this with Django 1.9+ is if you have MIDDLEWARE instead of MIDDLEWARE_CLASSES in your settings.py file. Can you check that? Yep, you’re right – a little copy-paste issue on my part. It’s fixed now. Thanks for letting me know! I have not yet finished your tutorial, but for what I see I can tell you huge THANK YOU! Thank you, I hope it you find it useful. Please let me know if you have any issues!